Whole cranberries cooked slowly with orange juice, port and spices. Defrost in the fridge for approximately 8 hours. Once defrosted use within 2 days. 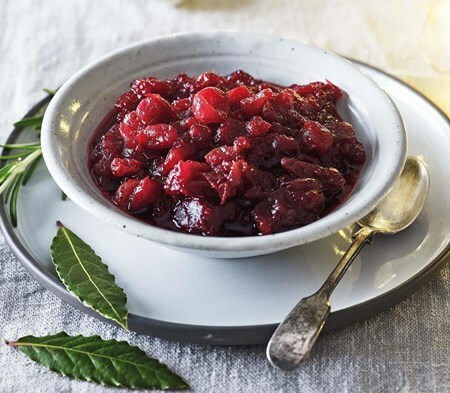 Cranberries (61%), Caster Sugar, Orange Juice (5%), Dark Brown Sugar, Water, Port (3%) (contains: Preservative: Sulphur Dioxide), Ground Ginger [Sulphites], Ground Cinnamon, Ground Cloves. Once cooked leave to cool for 2 hours and keep refrigerated until serving. Serve cold. Once cooked, eat within 48 hours.